It doesn’t matter whether you already have an online store or you are planning to come up with a new one. You won’t be able to make it big if you do not know how to attract buyers to your store. Seeing the way technology is advancing these days, it isn’t easy to attract customers to your e-business and even more difficult to retain them. Your eCommerce website must be perfect from a usability point of view and should be optimized for conversion. There are many elements that make up a good eCommerce website. 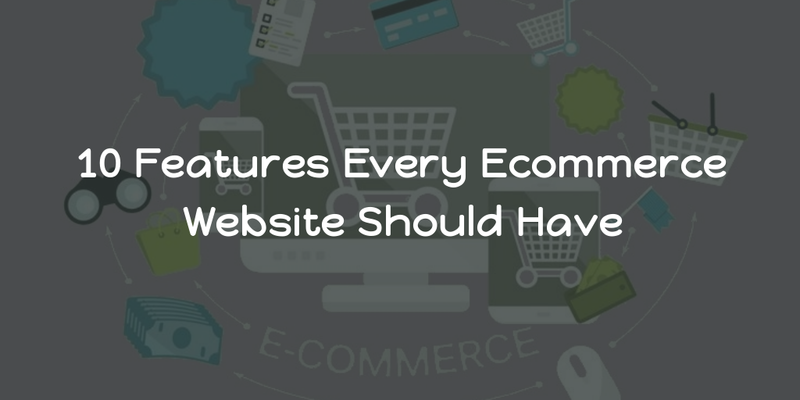 And your eCommerce website development plan should include most of these if not all. In this blog, we take a look at some of these elements that you can incorporate into your website. The days of putting old and drab images with bullet points are a passé. It’s all about giving the look and feel of products through high-resolution images these days. According to Adobe, if images on a website stop loading, 46% consumers would switch devices and 39% would stop engaging with the content altogether. Also, make sure that there are multiple images for each product. If you upload videos about your unique products, that also might help boost sales. In April 2015, Google released a mobile-friendly ranking algorithm that favors responsive websites over nonresponsive ones in google mobile search. It’s Google’s way of mandating responsive websites. People no longer restrict themselves to their laptops or desktops for ordering products. If they cannot order for their favorite products on your eStore from their smartphone, your business might incur a huge loss. So now is the time to come up with a perfectly responsive store, if you haven’t already. Keep it simple, stupid – says the K.I.S.S principle. And we concur. Your major goal should be to design a website that is extremely straightforward and intuitive to surf. Recent studies have shown that majority of consumers ask for ease of use when they are shopping online. This is because they can get they want without getting stuck into complex buying procedures. Come up with enough number of shopping categories and filters with precise content. Also, have a FAQ section so that buyers can get all the information they want from the same place. While most of the clients prefer to buy their favorite products online, there are some who also prefer to buy from the traditional brick and mortar stores. 81% of young consumers conduct research about the product online before buying from the store. Through Geolocation, your customers can also check the in-store availability of the product they want to buy and get the directions to their favorite store. Gone are the days of letting your customers know about special offers through emails. It’s time to promote these offers through your website’s header section. Including a wishlist section will also work wonders as people love bookmarking things that they would want to buy in the future. You can also have a section where the buyers can share the products they like with family and friends. It’s the most innovative way to attract more customers to your website. It’s all about tapping into consumer psychology these days. Using phrases like “You might like this” on your website raises the serotonin levels in one’s brain. For example, if your customer has saved a coffee maker in the cart for future buy; the next time he/she visits the website, a phrase saying “Would you like to have a perfect cuppa?” will pop up. This is sure to pursue the visitors into buying what they want. Try to have this feature on your website to boost your sales. If you think the buyers don’t read reviews, you might be wrong. About 92% consumers read the reviews before they buy any product. Make sure the review section on your website has an amalgamation of both positive and negative reviews. It will look more genuine and believable. Having all positive reviews gives an impression that it is an insider’s job. Not everyone selling similar products as yours is a competitor. Consider partnering up with other quality brands that your customers might like. By doing so, you will attract customer base from your partner’s website and vice versa. It can be a win-win situation for both the companies and your eCommerce store will grow in the long run. Stories and conversations on social media go viral in no time. Creating your brand page and posting regular updates about your products is the way to go. Add the buttons of your social media pages on your website. Keep it interactive and encourage the buyers to share their opinions. This will make the customers feel that they are a part of your business. McKinsey conducted a survey which proved that 70% of buying experiences depend on the treatment of the customers. Customer service is of prime importance. If you do not satisfy your customers with their queries, it won’t take much time for them to switch to someone else. Make sure that you offer all the help and the customers leave with smiles on their face. An online customer service portal would also answer most of the questions raised by your clients. It’s time to be creative, technology friendly and utilize the right channels for promoting your website. If you do all the right things, in spite of tough competition, you will see a rise in the number of your website visitors and customers. Now that you know what features you need to include on your website, it’s time to get going. Keep shining! Mr. Maulik Shah is the founder & CEO of Biztech IT Consultancy Pvt Ltd., one of the leading web design and Development Companies in India. He also runs Biztech Blog, where he shares insights from the world of eCommerce and other web-based technologies.